Behavioral problems are some of the most significant risks to the integrity of a space mission. In particular on long duration missions. Living for months in a confined environment, with few comforts and a stressful job, may bring myriad psychological pressures. One additional factor might be the functioning of the brain itself. Recent studies have found that many basic mental abilities, like attention, task switching, bodily co-ordination and problem solving seem to work less well in space. Behavioral problems were experienced since the early times of human spaceflight. The U.S. space program experienced several incidents during early space flight which were of concern to behavioral scientists. The psychological effects of space flight included aberrant behaviors and impaired judgement. For example, astronaut Carpenter wasted valuable control fuel, during a Mercury space flight, to obtain unauthorized photographs of scenic sunsets. The resulting unscheduled expenditure of fuel severely restricted the spacecraft’s maneuverability. This precariously low fuel state caused consternation among NASA engineers, since the margin-of-error for a safe re-entry had been reduced to a meager level. Another example of inappropriate astronaut behavior happened on Apollo 9 flight. The Apollo 9 crew exhibited an alarming amount of belligerence. However, they were largely able to overcome their interpersonal dissension so that by the end of the mission, only an awareness of tension remained. Another Apollo flight exhibited a similar, but more intense, interpersonal conflict. Before the famous malfunction, the crew of Apollo 13 became so irritable with each other and with the ground controllers that the astronauts insisted on taking a day off from in-flight mission duties to sort things out. This interpersonal dissonance was of such magnitude that NASA personnel strongly considered immediately aborting the Apollo 13 mission and returning it to Earth before their interpersonal problems escalated any further. Former astronaut Gerald Carr described yet another contentious episode during the flight of Skylab 4. 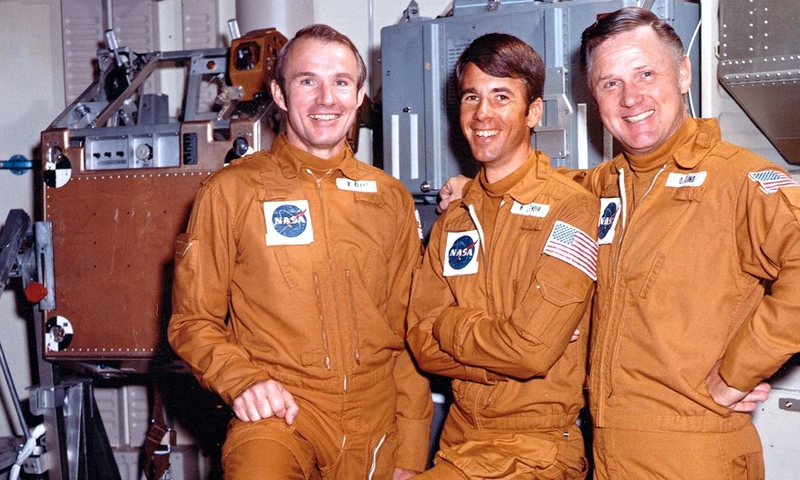 The crew of Skylab 4 became very irritable shortly after occupying the lab. Their irritability escalated into continuous displeasure with each other, their surroundings, and mission authorities on the ground at Houston Control. By mid-mission the entire crew insisted on a full day’s vacation to resolve their interpersonal animosity. This insistence was later labelled as rebellion by high-ranking individuals within NASA. Russia (Soviet Union at that time) also witnessed behavioral aberrations in their cosmonauts. An example of the type of problem nearly ended in tragedy. On the first 96-day Salyut mission, cosmonaut Grechko was tasked to inspect the forward docking port to assess whether there was damage which might have prevented Soyuz 25 from docking two months earlier. The spacewalk was the first one by the Soviets since cosmonauts from Soyuz 5 transferred to Soyuz 4 in 1969. The spacewalk was also significant as it was the first use of the Orlan space suits. Grechko left the Salyut while the other cosmonaut, Romanenko, remained in the depressurized airlock. Grechko reported that there was no visible damage to the docking drouge, which meant that the docking mechanism on Soyuz 25 was faulty, not that of Salyut 6. Accordingly, the station’s program was rescued. Once Grechko was back in the airlock, Romanenko, filled with enthusiasm at being in space, decided to take an unauthorized EVA (extra vehicular activity — space walk). After donning his space gear, he intended to peek out and observe, first hand, the ambience of earth and space outside the space station. Unfortunately, before he left the space station, he forgot to attach any safety tethers, and found himself floating into the vastness of space. Serendipitously, his cohort, cosmonaut Grechko caught Romanenko’s foot as it was exiting the hatch. This incident was not reported until after the mission had safely returned to earth. This incident, demonstrates that a highly trained and disciplined crew member can become so mesmerized by the outer space milieu that he succumbs to his impulses and ignores all precautions and checklists. What is equally mind-boggling is “Why did his contemporary, cosmonaut Grechko, sit idly by and not intervene, until he realized that a fatal situation was developing, and only then respond”? Another troublesome incident occurred, “according to reliable sources within NASA,” during the 1980 record-breaking 185-day Salyut flight. 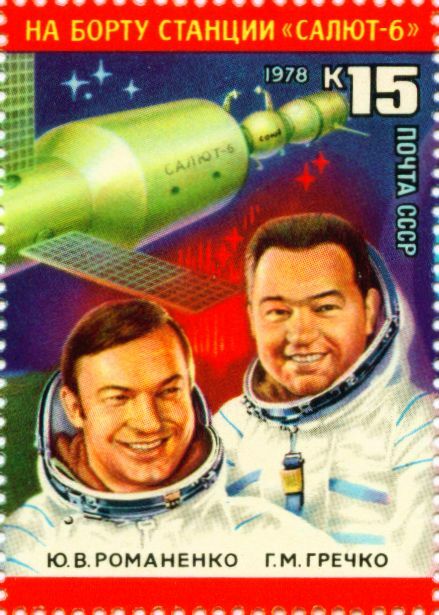 The cosmonauts became so irked with the ground personnel that they terminated all communications (i.e., radio, video) with the group for a period of two days. On December 10, 1982, cosmonauts Anatoly V, Berezovoy and Valentin Lebedev bade farewell to Salyut 7, the orbiting space ship that had been their home for the previous 211 days. This long-duration space flight broke the previous 185-day record also set by Soviet cosmonauts in 1980. Throughout the mission there were occasional hints of what the Soviets diplomatically called “interpersonal tension” aboard the Salyut 7. It was usually blamed on accumulated crew fatigue and periodic frustrations over equipment problems.